Steven Savran has over 30 years in public accounting where he works with private, closely-held businesses, healthcare and real estate professionals as a consultant and in a traditional accounting and tax role. 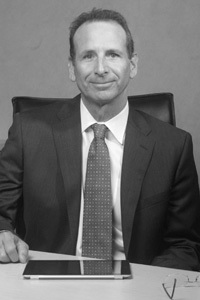 He is also responsible for all aspects of high net worth client’s tax and estate planning. Steve is partner-in-charge of healthcare and professional services where he assists his clients in practice mergers, acquisitions, withdrawals and in compensation models for profit allocation. A graduate of the Pennsylvania State University with a Bachelor of Science in Accounting and from Temple University with a Masters in Taxation, Mr. Savran is a member of the American and Pennsylvania Institutes of Certified Public Accountants. He is a former chairman of the PICPA Young Accountant’s Division and Executive Committee. Mr. Savran is a member of the Budget and Finance committee of the USTA Middle States Section. He serves on the Board of Directors of Legacy Youth Tennis and Education and the Anti-Defamation League. He has also served on the boards of the Philadelphia division of the Simon Wiesenthal Center and the Golden Slipper Center for Seniors. Mr. Savran has spoken on tax and accounting topics at meetings throughout eastern Pennsylvania. He has also authored articles that have appeared in local and national publications. He served on the editorial advisory board of the CPA Health Niche Advisor, a national publication serving the health care industry. Steve and his wife Lynne reside in Wynnewood with their two sons, Brandon and Matt. When away from the office, Steve enjoys playing tennis and spending time with his family.